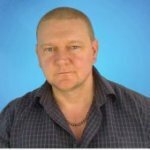 PC Guardians is owned and run by Ray Cunningham and I am here to help if you need a computer repair in Macclesfield. I have lived in Macclesfield since birth and love the town. I have been repairing computers for over 15 years now. I am passionate about computers so you can rest assured that I will give your computer my full attention. Because of my passion for computers I always tend to over deliver when it comes to a repair. Even if your computer only requires a small repair or a virus removal, I will check everything is working as it should and make sure your operating system is up to date with the latest security patches and service packs. I am always willing to help customers with computer problems. I will make recommendations if I feel they are necessary, such as a memory upgrade that may help your computer run faster. I operate PC Guardians from a small non-retail workshop in Macclesfield. If you call me with a problem, I first need to decide exactly what is wrong. Most times I can achieve this from a telephone conversation with you. Certain tasks can be performed on-site but virus removals, software installations and hardware upgrades are better done at the workshop simply because of the time involved. It is more economical for you as a customer to have the work carried out at the workshop. On-site work will always work out more expensive. I am proud to run a small local business and I pride myself on giving the best service possible. If you need computer help and you're in Macclesfield, give me a call at PC Guardians or fill out the contact form to see if I can help you.